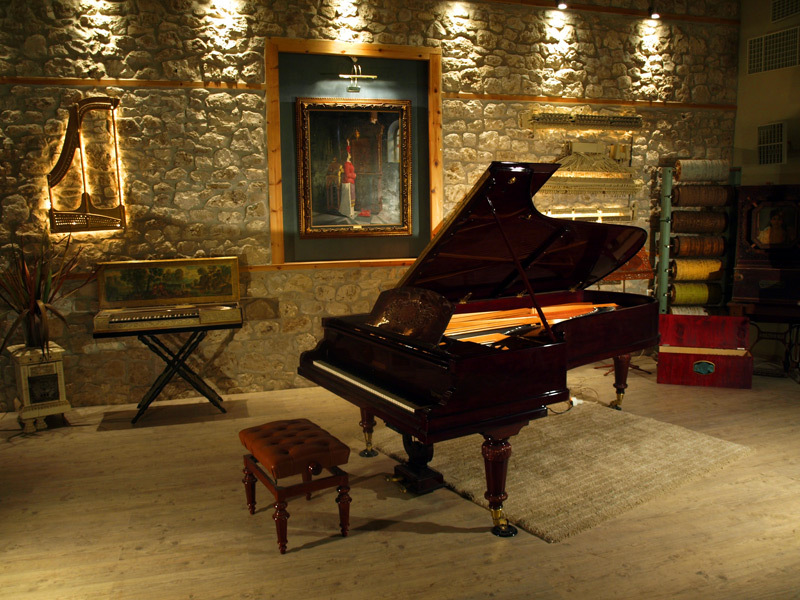 Why a piano needs special care? 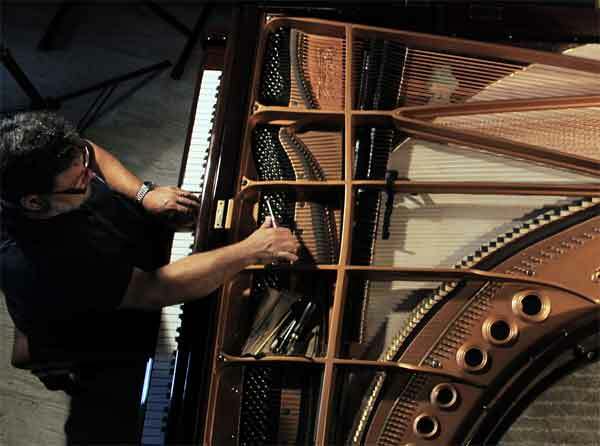 Pianos live as long as a human being. Excessive use, moisture variations, extreme cold and heat, radiation and microorganisms can accelerate deterioration. We avoid chemicals, alcohol and acetone on key tops and piano finish. We also avoid strong household detergents and use mild alternatives like well rinsed soap water. 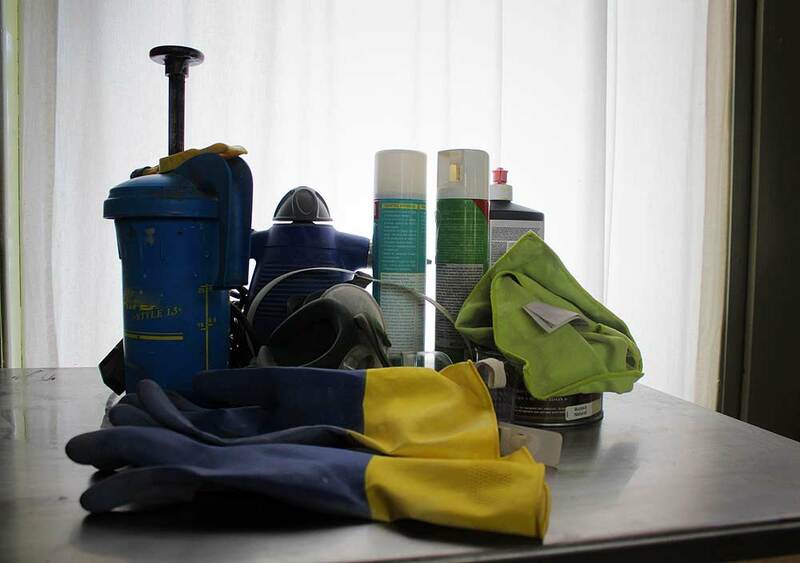 Car polishing paste can work wanders if it is patiently rubbed with cotton cloths. 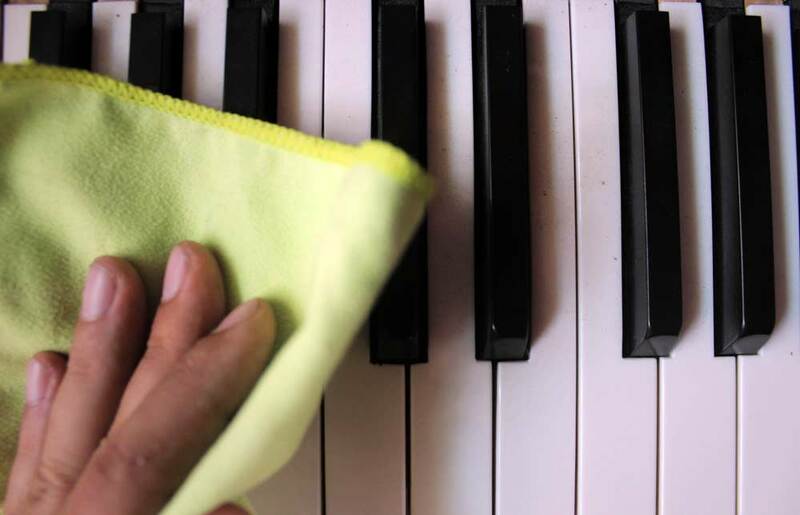 Do not clean inside the piano but ask your tuner to do it instead. A good cleaning job takes time and special tools (under the strings, blower for the action etc.). Special treatment is applied in old worn yellowed ivories. This is a job for the workshop. Minor scratches on the polyester finish can also be treated locally by your technician. Please give him/her details in advance to get organized. Bronze pedals, hinges and brand names can also be polished. 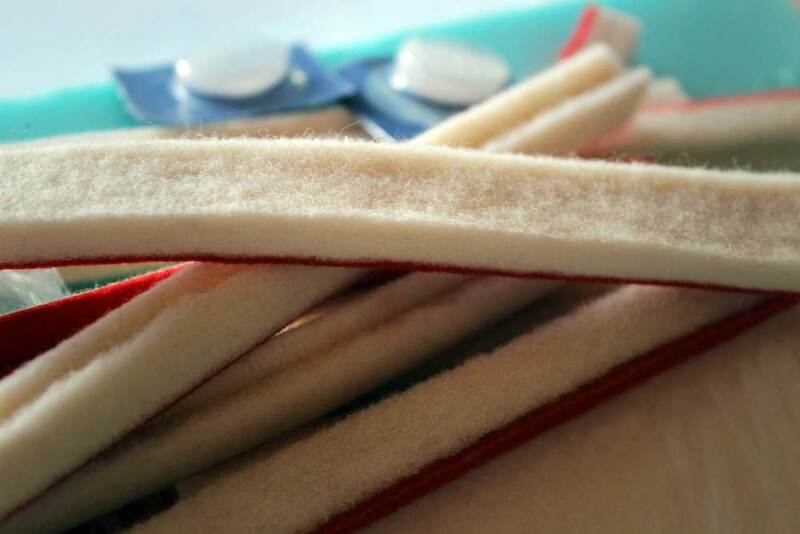 Thousands of pure wool felt pieces in the piano, although treated with moth repellant still attract moth. There are several moth species and they all thrive in closed (no air circulation) environments and high moisture levels as is usually the case with upright (less in grand) pianos. So do remember to throw an anti-moth tablet in your piano every spring. Houses with yards and ground contact will very likely attract mice in the piano, however clean and looked after they are. It just happens sometimes for a little mouse to pay a visit and if it does take it for granted that it will run straight to the piano. They love pianos because they build their nests on the key bed under the keys. They provide them with a safe confined space, there is adequate air circulation between the keys and the action provides them with all necessary nest building material. Point of entrance from the pedal holes.